Kent Hehr PC MP (born December 16, 1969) is a Canadian politician from Alberta. He was elected as the Liberal Member of Parliament for the riding of Calgary Centre in the 2015 federal election. Hehr was named Minister of Veterans Affairs in the federal Cabinet, headed by Justin Trudeau, on November 4, 2015, and was shuffled to be Minister of Sport and Persons with Disabilities in August 2017. Hehr resigned from cabinet on January 25, 2018, after allegations of workplace misconduct surfaced from when he was the Member of the Legislative Assembly of Alberta for Calgary-Buffalo. Before entering politics, Hehr worked as a disability activist and a lawyer. As a teenager, Hehr was active in sports including both baseball and hockey. These are interests which Hehr is still passionate about to this day. He played for the Alberta Junior Hockey League champion Calgary Canucks in 1989-90 and for the Mount Royal College Cougars the following year. He had a goal of becoming a physical education teacher. However, on October 3, 1991, Hehr was shot as a bystander in a drive-by shooting and became quadriplegic. His injuries ended his plans, and instead Hehr pursued post-secondary studies at Mount Royal College and then at the University of Calgary, from which he earned a Bachelor of Arts in Canadian Studies and a Bachelor of Laws. Upon graduation he was named graduate of the decade and ranked among the top 40 graduates in 40 years. Prior to being elected Member of the Legislative Assembly, Hehr practised law at Fraser Milner Casgrain. Hehr also became active in the community, leading various groups, such as the Alberta branch of the Canadian Paraplegic Association. In 2008, he was listed as one of "20 Compelling Calgarians" by the Calgary Herald. In June 2006, Hehr won the Calgary-Buffalo Liberal nomination in a contest. He was subsequently elected to the legislature in the March 3, 2008 general election. 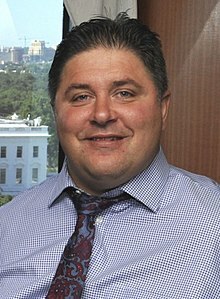 After the election, Hehr was chosen to be the Shadow Minister for Justice and Solicitor General for the Alberta Liberal Caucus. As the Shadow Minister, Hehr worked to tackle crime in the province while focusing on other justice issues. Hehr campaigned for mayor in the 2010 Calgary municipal election but withdrew a month before the vote to endorse Naheed Nenshi. In 2014, Hehr proposed a private member's bill into the Alberta Legislature that would urge public schools to support students who wished to create gay-straight alliances. The bill, while supported by the Liberals, Alberta NDP and some Progressive Conservatives, was voted down by a majority of PC and Wildrose MLAs in April. Six months later Laurie Blakeman brought a private members bill forward which essentially adopted Hehr's motion. Instead of allowing a vote to proceed on this motion, the PC government brought in their own bill, the essence of which allowed public, Catholic, and private school entities to decide whether or not they would allow a Gay-Straight Alliance in their district. Ultimately the PCs brought in a reformed bill that effectively allowed Gay-Straight Alliances in all schools throughout the province. For Hehr, himself a shooting victim, a major focus has been on gun violence in the province. Soon after he was elected, the City of Calgary became trapped in a gang war which has claimed the lives of many young individuals. Hehr put pressure on the government to help reduce these numbers. He started by calling on the province to increase the number of police officers on the beat in downtown Calgary. The Mayor and the Police Chief have also joined in his call to increase the number of police officers. Hehr's most recent call was to give police the power to seize vehicles that contain unregistered firearms, along with the gun. Bill 201 was defeated in second reading on March 9, 2009, with no Conservative MLA support. On July 17, 2014, following some speculation, Hehr announced he would seek the federal Liberal nomination in Calgary Centre. On November 28, he was acclaimed as the Liberal candidate. Hehr won the Calgary Centre riding in the 2015 federal election on October 19, 2015. Alongside Calgary Skyview member of Parliament Darshan Kang, who was elected the same evening, Hehr became the first Liberal elected in Calgary since Pat Mahoney in 1968. Hehr was appointed Minister of Veterans Affairs and Associate Minister of National Defence in Justin Trudeau's first cabinet on November 4, 2015. In a cabinet shuffle in late 2017, Hehr became Minister of Sport and Persons with Disabilities, succeeding Carla Qualtrough on August 28, 2017. In November 2017, it was reported that the Ethics Commissioner was investigating Hehr following accusations that he used Parliamentary Resources to help his father campaign for a seat on the Calgary Board of Education. He was subsequently cleared in this investigation. In December 2017, Hehr was accused of making insensitive remarks to a group of thalidomide survivors. In a meeting early that year, the members of the group accused Hehr of inappropriate touching, saying "Well you don't have it so bad. Everyone in Canada has a sob story", and in reference to their reduced life expectancy "So you probably have about 10 years left then now, that's good news for the Canadian government." He denied making the statement. Hehr resigned from cabinet on January 25, 2018, amid allegations of sexual harassment. Source: The Report on the March 3, 2008 Provincial General Election of the Twenty-seventh Legislative Assembly. Elections Alberta. July 28, 2008. pp. 178–180. ^ a b "Hehr won't return to cabinet, but remains in Liberal caucus after harassment investigation". CBC News. Retrieved 2018-08-06. ^ a b "Conservatives' Calgary fortress resists change". CBC News. 2008-03-03. Retrieved 2015-09-03. ^ Fekete, Jason. "Kent Hehr overcomes enormous personal and political obstacles to become Calgary Liberal MP". Ottawa Citizen. Ottawa Citizen. Retrieved 26 August 2016. ^ Mingo, Rita (2008-01-01). "20 Compelling Calgarians / Injury led lawyer to new rewards". Calgary Herald. Archived from the original on 2011-08-05. Retrieved 2008-03-03. ^ "MLA for Calgary-Buffalo". Alberta Legislature. Retrieved 2008-08-27. ^ "Liberals select lawyer as Calgary-Buffalo candidate". CBC News. 2006-06-20. Retrieved 2015-09-03. ^ "Kent Hehr, Calgary-Buffalo". Alberta Liberal Caucus. Archived from the original on 2009-01-31. Retrieved 2008-08-27. ^ "Crowded race for Calgary mayor". CBC News. 2010-09-20. Retrieved 2015-09-03. ^ a b "CTV Calgary". CTV Calgary. 2008-07-24. Retrieved 2008-08-27. ^ "Edmonton Journal". Edmonton Journal. 2008-07-24. Archived from the original on 2008-08-30. Retrieved 2008-08-27. ^ "Full list of Justin Trudeau's cabinet". CBC News. ^ "October 19, 2015 Election Results — Calgary Centre (Validated results)". Elections Canada. 21 October 2015. Retrieved 4 November 2015. Wikimedia Commons has media related to Kent Hehr.